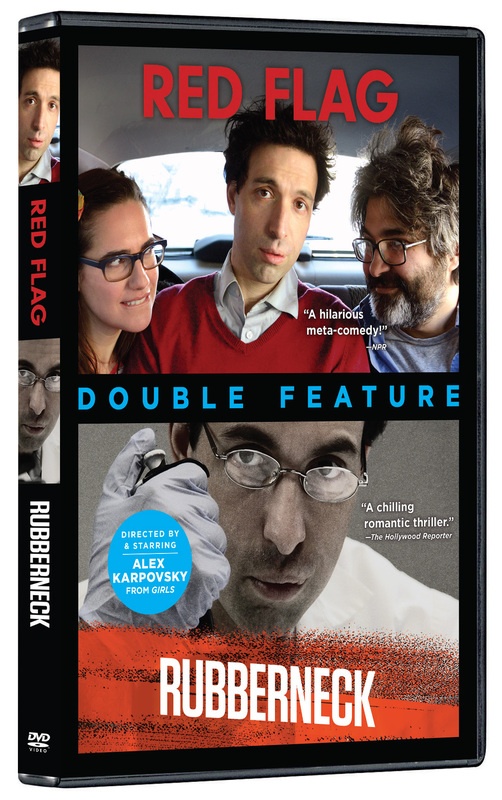 RED FLAG: A laugh-out-loud road trip comedy, RED FLAG stars Alex Karpovsky (Girls, Tiny Furniture, Sleepwalk With Me) as Alex Karpovsky, a newly-single indie filmmaker touring the South on a promotional jaunt for one of his films. With an old friend (Onur Tukel) in tow, the pair travels from one half-empty theater to the next, pursued by an ardent groupie who drives them into an exceptionally uncomfortable love triangle. 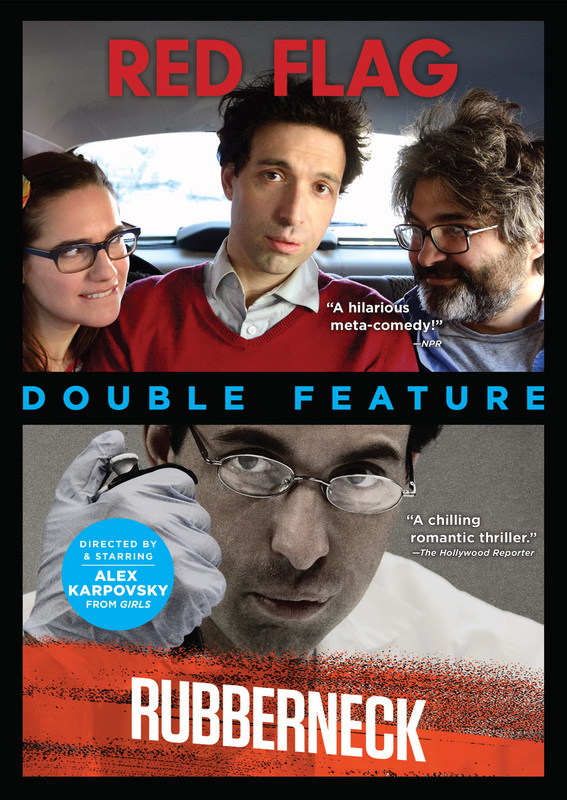 Showcasing writer/director Karpovsky’s comedic skills on both sides of the camera, Alex-as-Alex is forced to suffer an endless series of humiliations, each one more hysterical and absurd than the last. 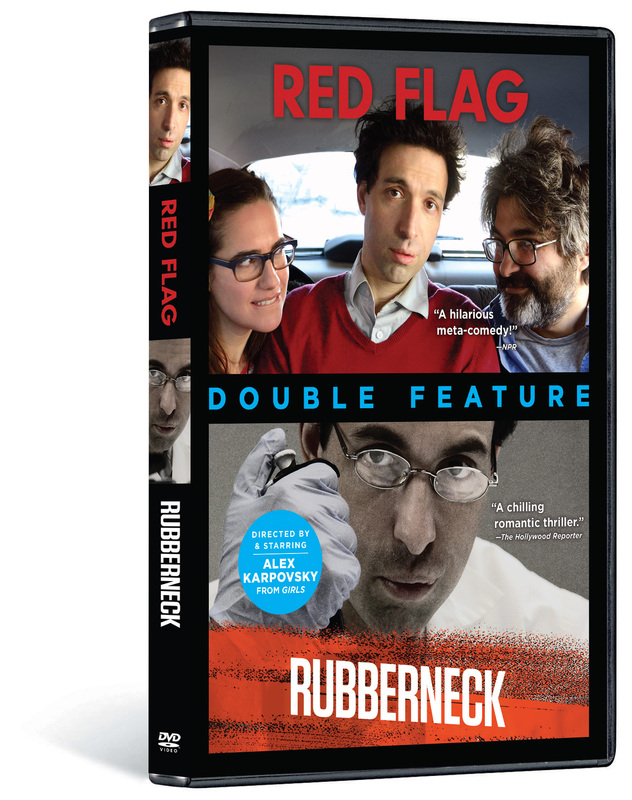 RUBBERNECK: Months after a weekend fling, Boston research scientist Paul (Karpovsky) continues to lust after his beautiful coworker Danielle (Jamie Ray Newman), nurturing his fantasies with the occasional polite exchange at work. But once she starts dating another scientist at their lab, his infatuation quickly turns into obsession – and he finds himself unable to control his desires. A slow-burn character study-turned-psychosexual thriller, Rubberneck, co-written by Karpovsky and Garth Donovan, is a chillingly believable story of workplace romance gone wrong. ©Blameless Twins, LLC. ©Liminal, Inc. Art and Design ©2014 Cinedigm Entertainment Corp. All Rights Reserved. Marketed and distributed in the U.S. by Cinedigm Entertainment.